Travel is our passion. We are specialists in custom vacation planning and are here to give you memories no other agency can! 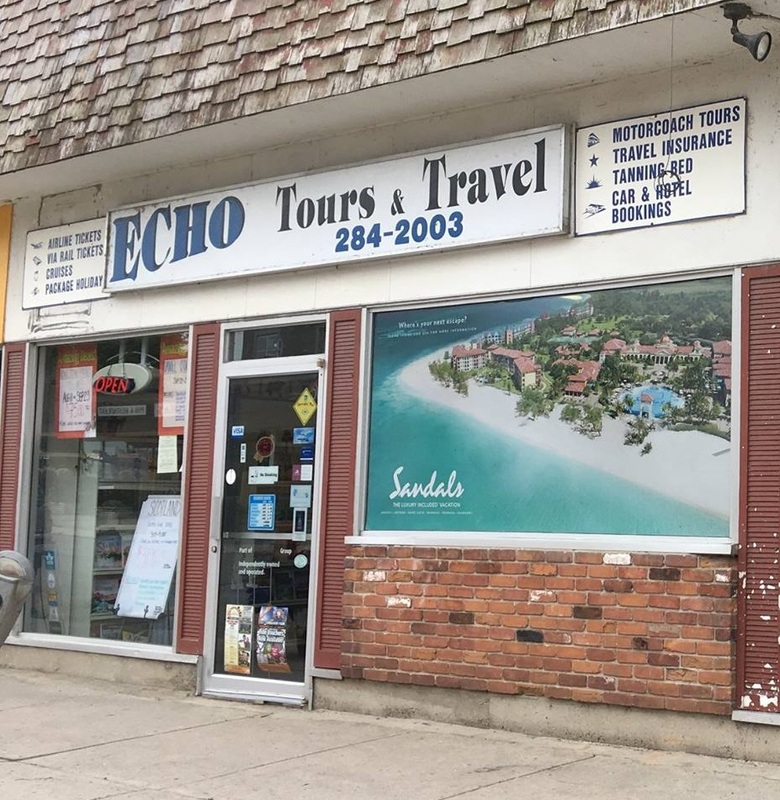 Echo Tours and Travel, a TravelSavers Affiliate, has been serving Smiths Falls and the surrounding area for more than 15 years. The office is a full service travel agency handling Airline and Rail tickets, Sun Destinations such as the Caribbean & Mexico, Cruises, Last Minute Sell Offs, European Travel, Travel Insurance and Motorcoach Tours. Our tour department specializes in designing a variety of Motorcoach Tours. We offer day tours such as shopping and craft shows, theater and local attractions. Our holiday excursions include destinations such as Branson, Quebec City, New York City, Alaska and Arizona (our long stay specialty). The secret to our success is our travel consultants, who are among the most knowledgeable and competent in the business. Whether you prefer good, old fashioned personal service of a travel agent or the convenience of our web site, you receive Echo Tours and Travel `s professional service, competitive pricing and customer satisfaction. Echo Tours & Travel, Smiths Falls, ON, a Travelsavers Affiliate, is a Full Service Travel Agency. TICO #4072302.